One sure way for novice fly tiers to advance their skills is by attending a fly festival. At the Cenla Fly Festival last year, expert fly tiers from across the region demonstrated a wide variety of flies. I’ve written on a couple occasions about getting started in fly tying, and the benefits of tying your own flies. Apparently many folks are recognizing those benefits. Introductory tying clinics are experiencing a nationwide boom, even here in Louisiana. First, tying can save money. Don’t laugh – it really can! But it takes discipline. More on that later. Second, only a very tiny fraction of all flies are sold commercially. The only alternative for a fly not sold is to tie it yourself. Third – and maybe most important – there is no better feeling than catching a fish on a fly you tied yourself. Many novices get stuck in beginner mode, then get frustrated and give it up. 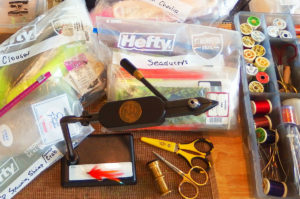 Here are a few ideas to take you to the next level – and spark a lifetime love of fly tying. This may sound cliché, but becoming a better tier is all about taking advantage of learning resources. 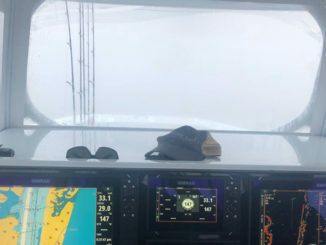 Those range from books to YouTube videos to attending events that feature experienced fly tiers demonstrating their skill. The best book for techniques and solving tying problems is “Fly Tying Clear and Simple: Advanced Techniques” by Skip Morris. For each fly instruction set, the author also examines common beginner errors and how to fix them. As for videos, Fly Fishers International has compiled an extensive library on their website. Fly patterns can be searched by category (coldwater, saltwater, etc. ), by subcategory (bluegill, crappie, redfish, trout, etc.) or by fly name. Go to their website and click on the Tying page. Not all online videos feature fly patterns. Some show how to tie certain knots, make a dubbing loop, spin deer hair or other techniques. Call me old-fashioned, but I still believe the best way to learn is through human interaction. There are numerous fly fishing events each year across the Gulf South that feature tying demonstrations and/or workshops. Each month, we list a calendar of upcoming events at the end of this column. Check them out! If you’re still using that cheap AA starter vise, you’re probably experiencing some frustrations. 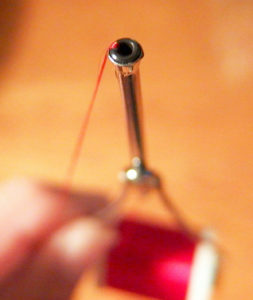 The hook tends to slip under thread pressure. Adjusting for a different size hook is time-consuming. Another common problem with AA vises is that you can’t rotate the hook. Rotating is a great benefit if you’re trimming flies, binding material on both sides of the hook, tying in legs, or applying epoxy. Consider upgrading to a rotary vise, such as the Regal Medallion. Its spring-loaded jaws hold hooks firmly. There’s also zero issues with changing hook sizes. The only knock on the Regal is that it’s not “inline rotary.” On an inline rotary, the vise head is angled such that, when rotated, the hook shank stays exactly in place. Consider an inline rotary if you do lots of body wrapping with chenille, braid or other material. 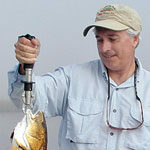 The most popular models are the Renzetti Traveler, Peak Rotary, Norvise, Orvis EZ and Dyna-King. Nearly all rotary vises come in either clamp or pedestal models. Choose the pedestal. This will allow you to tie on any surface anywhere. If your thread breaks on occasion, upgrade your bobbin to one with a ceramic ring inserted in the metal tube. If you don’t have surgical quality scissors, get a pair. You’ll thank me the minute you first use them. Get a pair of Cutter Bee or similar craft scissors for cutting mylar, braid, or other tough synthetics. Never use your surgical scissors for this! Are you frequently breaking thread when tying flies? Your bobbin most likely is the problem. The inside of the steel tube may not be polished. Or the outflow edging of the tube may be too sharp. Or likely both. The solution is a bobbin with a ceramic tube, or with the steel tube outflow lined with a ceramic insert. Consider buying at least three ceramic bobbins. Load each one with the color and type threads you use most often. This will save a great deal of time when you’re tying different flies. A hair stacker is a must have if you tie Clouser Minnows, caddis patterns, or anything with hair. A dubbing loop tool is needed for dubbing loops. Dub loops make for some of the buggiest looking freshwater flies – and for some great looking crab flies for the salt. Organizing your materials can greatly improve your efficiency, as well as control excess inventory. Being more efficient leads to better tying. When your tools and materials are well organized, you save both time and money. Here’s how I organize my stuff. For bobbins, scissors, packers, bodkins, threads, braids, and miscellaneous items, I store in a clear utility divider box – like the Plano 3600. For each fly that I frequently tie, I keep all the materials needed for that fly in a gallon zipped storage bag. I mark the bag with the name of the fly. If different flies use the same exact hook, I divide a box of hooks into small bead containers from the hobby store. Then I mark the containers with the hook name and size. I do likewise for eyes and beads. Each container goes into an appropriate bag. 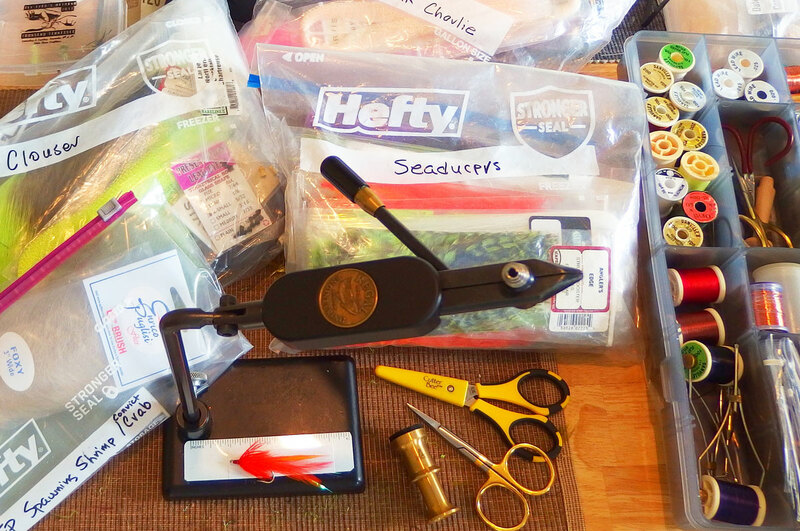 This setup makes it quick to tie a certain fly – everything but thread is in the bag. It also helps with inventory management. Inventory management is critical. Not only to insure you don’t run short, but to keep you in budget. Each fly you tie costs a fraction of that same fly sold retail. Impulse buying of materials – most of which is never used – is by far the biggest threat to being cost effective. Feb. 1 (Fri) – 2019 Fly Fishing Film Tour, Pack & Paddle, 601 E. Pinhook, Lafayette. Social at 5 p.m., film at 6 p.m. Tickets $15, can be purchased online or at store. Door prizes and more. Websites: www.flyfishingfilmtour.com, www.packpaddle.com. 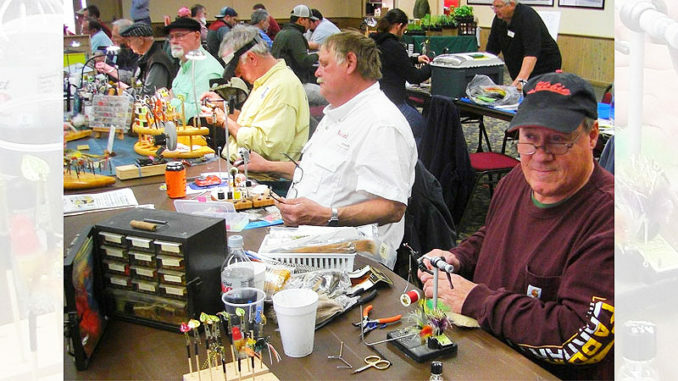 Feb. 2 (Sat) – Orvis Fly Tying 101, 7601 Bluebonnet Blvd, Baton Rouge. 2 p.m. to 4 p.m. Free clinic covering basics including hands-on tying. Tools and materials provided. Class size limited, so registration required. Other dates available. For more info, call 225-757-7286. Feb. 9 (Sat) – Dr. Ed Rizzolo Fly Tying Festival. Bethany Christian Church Center, 3223 Westheimer, Houston, TX. 8:30 a.m. – 4:30 p.m. $10 adults, $5 seniors, free under 12. Over 80 tiers from across the South, seminars, tying clinics. Featured guest: Pat Cohen. 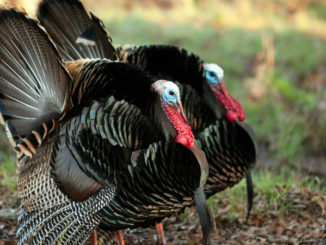 Website: www.texasflyfishers.org. Feb. 16 (Sat) – Little Mo Fly Fishing Fest, Community Hall, Murfreesboro, AR. 9 a.m. – 7 p.m. Celebration of southern Arkansas trout fishing, with seminars, fly tying, exhibitors and more. Admission: $5. Website: www.littlemissouriflyfishing.com. Mar. 2 (Sat) – Red Stick Day fly festival, LDWF Waddill Education Center, 4141 Flannery Rd, Baton Rouge. 8:30 a.m. to 3:30 p.m. Free admission. Seminars, fly tying, casting, kayak demos, fishing, raffles and more. Sponsored by Red Stick Fly Fishers. Website www.rsff.org. Looking for chunky chinquapin? Caney Lake delivers! Glen ‘Catch’ Cormier has pursued fish on the fly for 30 years. 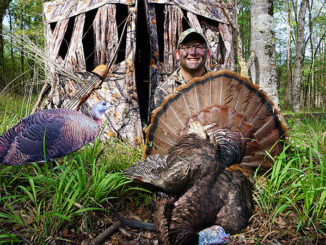 A certified casting instructor and renowned fly tier, he and his family live in Baton Rouge.